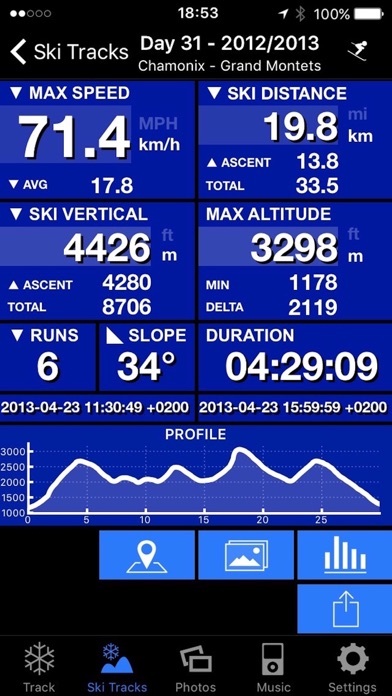 The world’s favourite winter sports application. Designed specifically for winter sports, the award winning Ski Tracks is your worldwide, ultimate ski companion. 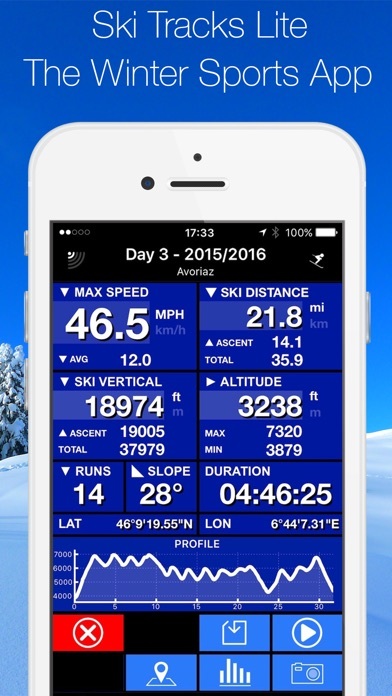 Record your entire day on the slopes without the need for mobile data*. 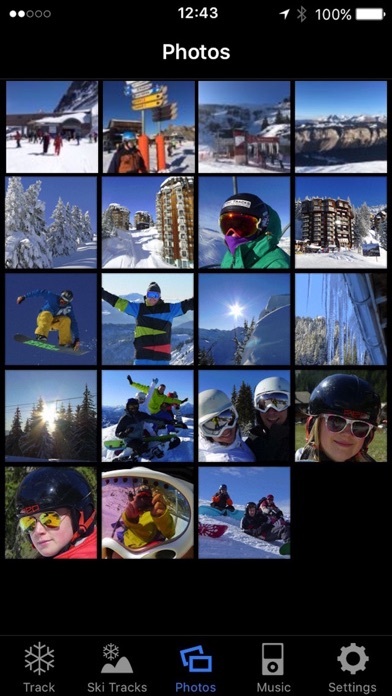 Compare your mountain experiences with your friends, from complete beginners to seasoned professionals, join the millions of people who have already downloaded Ski Tracks. As featured in: CBS - Independent - T3 - Telegraph - New York Times - Engadget - Snowboard Mountaineer - Slope Edge - Snow Vole Awards Battery efficient technology allows all day recording, no data or phone signal required for recording making Ski Tracks ideal for backcountry or where data roaming charges apply. 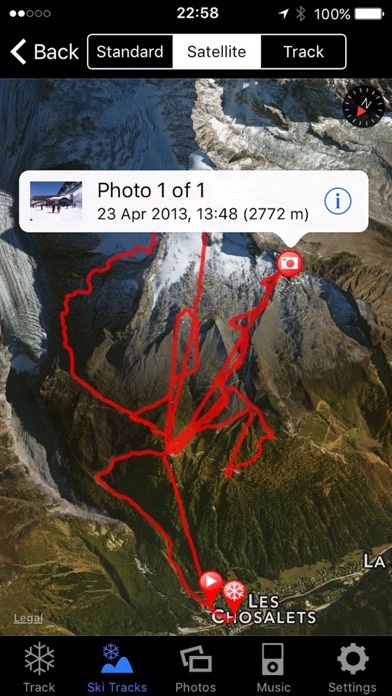 • Easy to use • Specifically designed for winter sports • Include photographs to keep memorable moments • Free Ski Tracks online storage * Where data charges apply, set Data Roaming / Mobile Data Off. For more information see iPhone/iOS user guide. GPS will not work accurately indoors. This app may use your location even when it isn’t open, which can decrease device battery life.